Friday, February 8th when many of us Torontonians were busy shovelling up to 1m of snow, the City of Vaughan Twitter Account, erroneously (the circumstances of which haven’t yet been clarified) sent out this foolish tweet. If you are a community manager, this has possibly happened to you on more than one occasion: unfortunately, the profanity that accompanied this tweet was more than enough to amplify it in the Twitter ether. 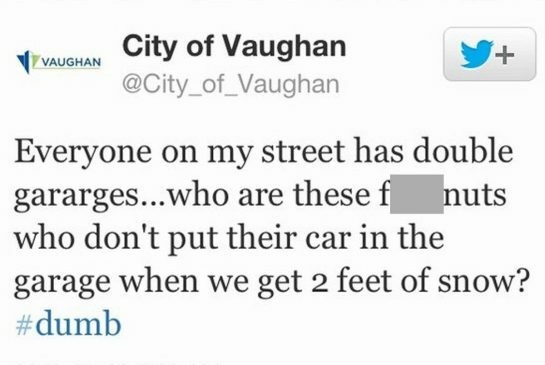 But instead of issuing a ‘mea culpa, The City of Vaughan, in haste, deleted the account for a few hours. 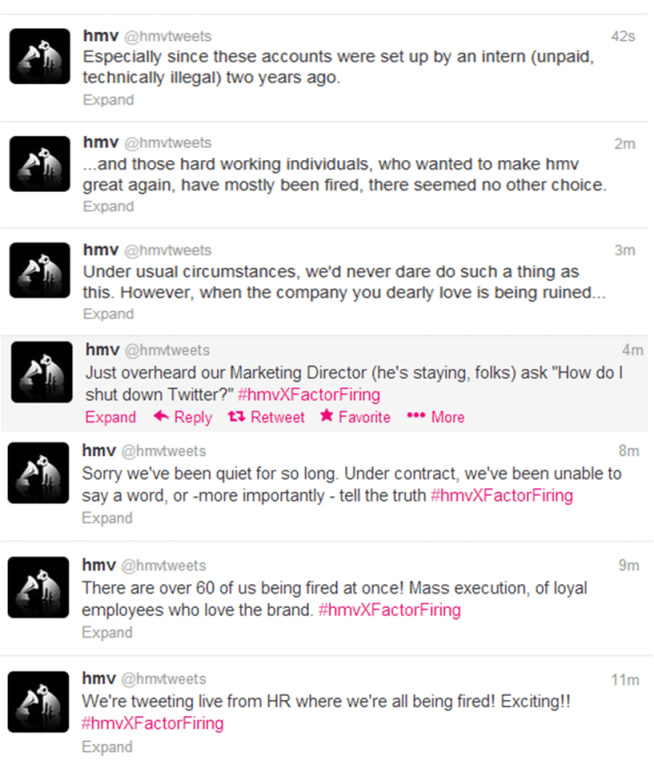 On January 31st, the HMV official twitter account was taken over by furious employees in the midst of being fired. These employees managed to post some pretty insurgent-type messages before the company regained control of account. There are just too many examples of companies who continue to falter in this space. But that’s totally okay – we all know that people make mistakes–even those behind the “official company account”. But that’s not how companies view the situation. I saw this image on a post from 2008 that depicts some fundamental differences when the web evolved from 1.0 to 2.0. Web 1.0 was about reading. Web 2.0 is about writing. Web 1.0 was about companies. Web 2.0 is about communities. Web 1.0 is about owning. 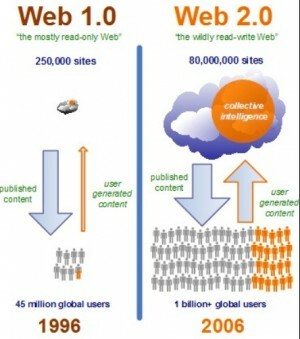 Web 2.0 is about sharing. The linear interaction that existed in 1.0 was borne by organizations who controlled the content and pushed it down to the masses. They controlled the airwaves: the who, what, when and where. There were no real mechanisms like what is available today to allow the masses to have a voice. Now hierarchy has turned into democracy and network relationships grow complex. The level of interactivity and the tools that enable this have made it easier for customers to voice their opinions. That’s what companies are not ready for. And that flows directly into your organization as well. The City has determined the inappropriate tweet from our account earlier today was from an unauthorized user….We are implementing procedures to prevent such an event from occurring again in the future. Instead of being transparent, City of Vaughan suspended the accounts in an attempt to figure out what happened, closing the doors to the public, and even alluding to the possibility of unauthorized use. Once the account was reopened, they offered a quick explanation and never attempted to engage in the many twitter discussions about the topic after that. Yes, the post was a mistake and humans make errors but the City’s handling of the error had sent strong signals to Toronto Twitter stream about their lack of empathy for the mistake and attempt to “move on” as if it never happened. That blew me away. The use of humour to disarm the situation brought them even more fans and even more donations in the process. 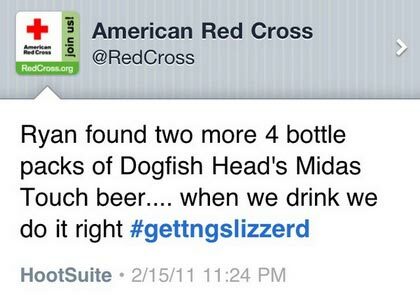 Red Cross’ actions also revealed their integrity as an organization, which values its employees and their contributions. That’s an important brand message that will be much more amplified than the offending tweet itself. Had the City of Vaughan taken the time to hear what people were saying and not shut out the public by going dark, they would probably gain much more favour and fans in the process. In this age of new media, embracing the lack of control means companies are acknowledging they are human and they’ll fumble along the way. And that is absolutely okay. Who Answers The Red Phone in Social Media? This is why I make it a practice to NEVER curse on social media…. it’s just like always telling the truth means you don’t have to THINK. AmyMccTobin You can make your point without cursing as I tell my kids. It just sends the wrong signals with it’s written. hessiej DannyBrown Wow. So Danny has been converted to non-cursing in Social Marketing??? This showcases perfectly why you need a strong social policy in place. Did the employee make a mistake? Sure did – but, like you say, not the first and won’t be the last. Social media, like anything, can be scary for brands. But you’re not doing yourself any favours with knee-jerk reactions. Danny Brown Yup, this is really key Danny and I’m glad you brought it up. It’s not a one-size fits all scenario. Platforms like Twitter are faster but “content” and how it’s presented can potentially go viral regardless of platform. Mgt needs to be more proactive than reactive. @ArtemAltman Sad but true. That’s why companies like ArCompany exist. There’s a lot of work to be done. @hessiejones bc its always easier to have someone else do it. Even though common sense dictates otherwise.